Our AGM was held on Thursday 24th January 2019, it was a positive meeting with good vibes for the future. We welcomed David Woakes back into the fold. Last year's apathy and unrest has been banished to the past and a new page has been turned and the future is bright. 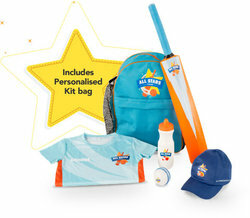 A celebration for World Cup Cricket is planned for the weekend of 7th-9th June with family fun to be planned - barbecues throughout the season - a Sunday Smash (100 ball game) (played against local teams). We hope to encourage those who wish to play social cricket to return to the fold. In fact it is very much a 'watch this space'. Presentations of trophies were presented for scoring 100+ last season to Ibbadat Thaman (4) Zaheer Suliman (3) Sahal Mavernkar, Taimur Imran and Chonchol Md and 5+ wickets to Haider Aakif, Ejaz Nawaz (2), Sahal Malvernkar (3), Qamar Abbas, Trent Turner and Md Islam. Player of the year went to Ibbadat Thaman and emerging player Haider Aakif. Graham Seal from the Warwickshire County Cricket League was there and presented Ibbadat Thaman with the League Trophy for Young Player of the year. Ibbadat scored over 1000 runs last season which included a 212 and three other 100's and numerous 50's. 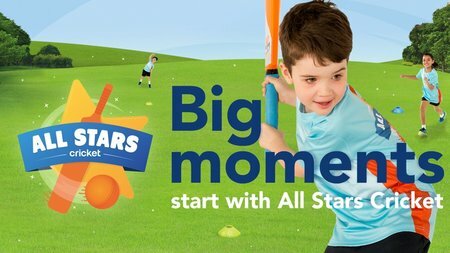 We will be running the AllStartsCricket programme, starting in May. Aston Manor have been successful in being awarded grant and interest free loan funding totalling £49,776 from the ECB to install a new 3 lane enclosed nets facility. The work on this has almost been completed and the new nets will be ready to use before the start of the 2013 season. Positive times for the club! With Aston Manor enjoying such a successful season on the pitch it is great to hear that their outstanding work off the pitch within the local community is also being recognised. On Friday evening Warwickshire CCC presented Dominic Ashton with a 'Behind the Scenes' OSCA (Outstanding Service to Cricket Award) in recognition of the fantastic work he does in improving every aspect of the club. Dominic has been largely responsible for the continued development of Aston Manor's superb youth system which has already provided the County with Ateeq Javid and England International Chris Woakes as well as giving the opportunity to hundreds of youngsters to enjoy and develop their own game. Dom has been pivotal in helping Manor achieve Clubmark accreditation (3 times) and has single handedly raised over £100,000 in Grants over the past 8 years. The latest Grant from the ECB is currently being utilised to improve the net facilities at the Club. Trent Turner has also been short listed as a regional West Midlands winner for a National Volunteering Award.